A few weeks ago a reader wrote in about the Roti coming to Union Station. It will be on the west side of the main floor across from Potbelly. 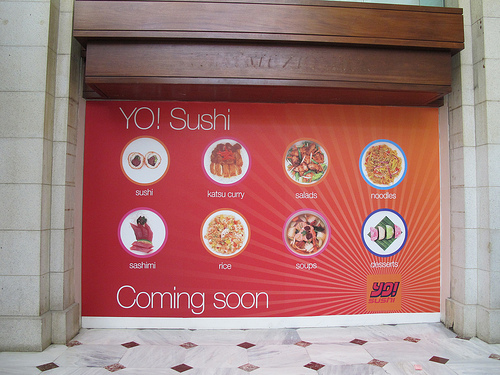 Passing through this past weekend I also saw the retail space where the Yo Sushi will be coming. It’ll be right next to the Roti on the main floor closest to the western entrance in the former comic book store space. 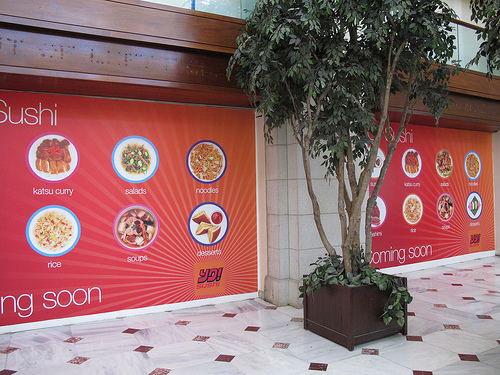 Like Roti, Yo Sushi will also take two retail spaces. You can see their menu here.